YANGON — In order to implement the recommendations of the Kofi Annan-led Advisory Commission on Rakhine State, the President’s Office announced the creation of a ten-member implementation committee on Monday including international and local experts alike. The country’s de facto leader, State Counselor Daw Aung San Suu Kyi, had already formed the Union Enterprise for Humanitarian Assistance, Resettlement and Development in Rakhine (UEHRD). Dozens of businesspeople have separately formed yet another group to accelerate infrastructure development in the state’s north. However, there appears to be little collaboration between the Union government and local civil society groups or the Rakhine State Parliament. And as the central government works out a strategy to deal with the crisis, those groups and lawmakers have already begun trying to permanently reshape local demographics by drawing in ethnic Arakanese from elsewhere. Not long after armed clashes broke out on Aug. 25 in the state’s Maungdaw Township, Arakanese historian Aye Chan, a professor at Japan’s Kanda University of International Studies, joined nationalists and a few lawmakers to establish the Ancillary Committee for Reconstruction of Rakhine National Territory in the Western Frontier (ACRRNT), known locally as the CRR. Nearly 30,000 non-Muslims were also displaced, though most of them have now returned to Maungdaw. Independent Rakhine State lawmaker Than Maung Oo revealed that over the weekend the CRR brought in 13 families from Thandwe Township’s Sin Khaung village and about 40 people from Ramree and Manaung islands, each located hundreds of kilometers from Maungdaw in southern Rakhine. CRR members say they have been looking for potential settlers for months among poor families both within Rakhine and farther away among Arakanese communities in the Irrawaddy delta. Aye Chan said the CRR would loan them the cash, nets, boats and other supplies but expects to be repaid in regular installments once the new arrivals have settled in. He said his group has not received any financial support from abroad, drawing instead on both Arakanese and non-Arakanese private businesses in Myanmar. 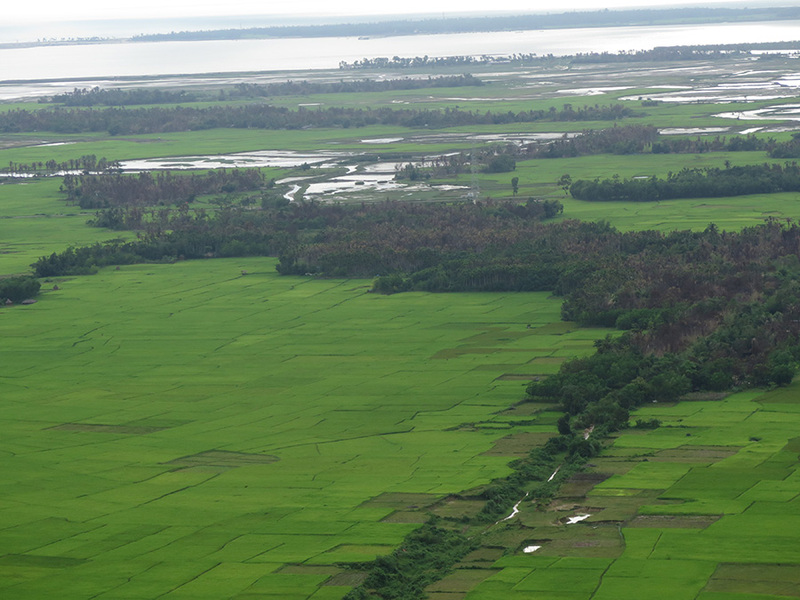 Some of the recent arrivals have already raised modest houses within Arakanese villages in southern Maungdaw. It is unclear whether the state government has officially granted them land. The Irrawaddy’s Sittwe correspondent interviewed some settlers who were stopped briefly at a jetty on the way to Maungdaw on Sunday. They said they would have to learn how the locals make a living in order to get by. The group says its aim is to return the numbers of Buddhist and Muslim villages in Maungdaw to pre-World War II proportions. In May 1942 Japan invaded Myanmar, then under British control. In response the British organized Muslims communities into an armed V Force to sabotage and attack the Japanese. But the force attacked Arakanese communities, killing many and burning villages to the ground. Only 60 Arakanese villages have been rebuilt in the region since, according to former Information Minister Ye Htut, who spoke on the history of the Rohingya crisis in Singapore in October. In 1947, after the Japanese were defeated, Aye Chan writes in his book on Rakhine history, the Muslim Liberation Organization, led by the Chittagonian Zaffa Kawal, asked Myanmar to recognize what is today Mayu district in Rakhine as a territory of East Pakistan, now Bangladesh. The request was denied. The CRR believes that rebalancing the Muslim and Buddhist populations could prevent further attacks. He said his group has already informed the state government of its activities and has not been told to stop. According to Myanmar’s land laws, farming, building housing on or otherwise using virgin, fellow and vacant land requires a permit from authorities. “If there is any contradiction with existing laws, then we have to negotiate with authorities,” Aye Chan said. The CRR’s plans are reminiscent of the Development of Border Areas and National Races — or Natala — village project set up in the early 1990s under the regime of former General Than Shwe. The project provided housing, land and cattle to those who moved from Yangon and other regions to Maungdaw under the protection of the Nasaka, Myanmar’s border security force, but was terminate under President Thein Sein. Although the project established dozens of villages, locals complained that many of them vanished almost immediately as the settlers sold their new farm plots to Muslims and returned to where they came from, said lawmaker U Than Maung Oo. Aye Chan insists the CRR’s plans are different. The professor said the Natala project merely provided land and housing to squatters and vagrants from Yangon who knew little about farming. He explained that the CRR was promoting both farming and fishing as southern Maungdaw’s coastline has many fishing areas. U Than Maung Oo said some fishing families from Thandwe tried to settle in the region about a decade ago but left because they were threatened by Rohingya villagers. The Irrawaddy asked Aye Chan whether the CRR was promoting segregation, but he declined to comment. The Rakhine Parliament has urged the Union government to set up a “Bengali Free Zone” in Maungdaw. Most people in Myanmar refer to the Rohingya as ‘Bengali,’ implying that they are illegal immigrants. During a meeting between state legislators and the UEHRD last week, lawmakers suggested splitting the township, reserving the north for Muslims and the south for everyone else. The previous government enacted a similar plan. When communal riots between Muslims and Arakanese erupted in 2012, authorities evacuated thousands of Rohingya from their quarters in Sittwe Township to Muslim villages on the outskirts of town. The rest of those displaced by the violence have spent the past five years in camps and are yet to be allowed back. Than Maung Oo has repeatedly urged the government to ignore pressure from international aid groups in dealing with the latest crisis. “We don’t care at all if they boycott us. We expect nothing because we have learned enough about their activities over the years”, he said. U Mg Tun, a primary school teacher, lives in southern Maungdaw’s Kin Chaung village. He said there were about 50 Muslim villages in the region before the Aug. 25 attacks and that only 10 remain intact. He said both Arakan and Muslim villagers are not harvesting their rice paddy for fear of more clashes. He said local civil society groups support the CPP’s plan and a call among many Arakanese for the government not to resettle Muslims in southern Maungdaw. “If the government allows Muslims in the southern part, all of us Arakanese will leave this region forever,” U Mg Tun said. But there is no guarantee the Rohingya who fled their homes will return any time soon. Abdul Wahid (not his real name), from Zay De Pyin village in Rathedaung Township, said his family was currently sheltering in southern Buthidaung Township because his village was destroyed during the security forces’ clearance operations. He has asked authorities to let him visit his village to assess the damage to his property. “We told the authorities that we did not betray the nation, and we did not join those fleeing to Bangladesh, but our requested was ignored,” he said. 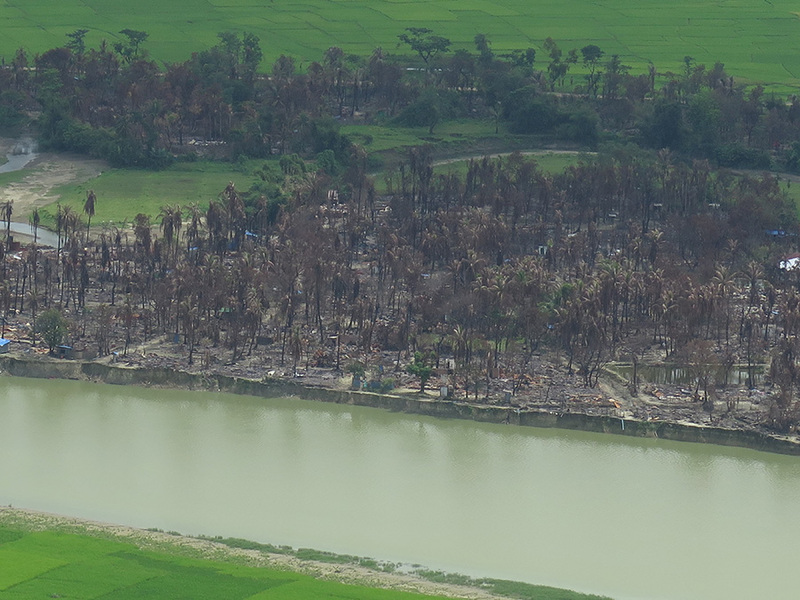 According Abdul Wahid, about 40 families from Zay De Pyin have sought refuge in Buthidaung’s Du Oo Thayma village and have yet to receive any humanitarian assistance from either the government or international aid groups. He said they were running short of food and have been forced to beg from neighbors. 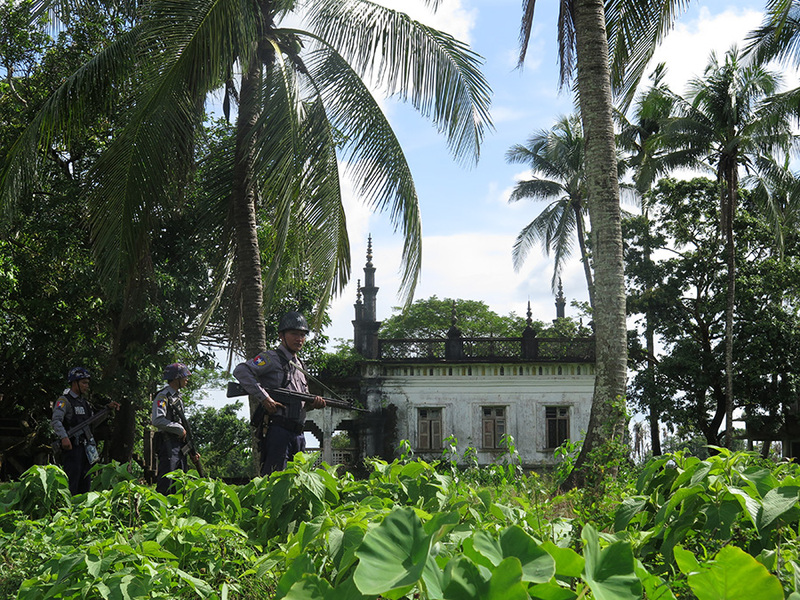 He said their century-old mosque in Rathedaung, built in 1910 during British control, was destroyed with a local business owner’s bulldozer and that their entire village was reduced to ashes in front of government security forces. He said their plantations were ruined. The Irrawaddy could not independently verify his claims.